Chris and I got back from 5 days away on Monday. I’m always excited for a trip. Even if it’s just a day trip to a town two hours away, or 12 hours away, I’m ready for fun. For those who like to road trip I have curated a list of 5 things to always remember when you go. Things I hope you haven’t already read about, but if you have that’s because they are important and need to be remembered! Always, and I mean ALWAYS, drink water. Listen friends, if you aren’t keeping hydrated you will be miserable. I know, I know… it can be difficult to drink water while driving great distances because you want to get their quicky and don’t want to be constantly making restroom stops. But it is so important to stay hydrated. While sitting in car for hours we tend to sweat a lot, and if it’s not cloudy we might be getting overly heated from the sun. When you arrive at your destination and you are dehydrated your first impulse is going to be to guzzle water. Doing this isn’t always a good idea as your body can’t absorb it that quickly and you will probably just end up getting rather bloated. You may also feel low on energy and have a headache or a stomach ache. If you are intent on touring the place you just got to immediately upon arrival, the lousy feeling of being dehydrated will make it harder to get started right away, and will leave you low on energy. So drink drink drink that water! And who knows, maybe one of your pit stops will stop you in a town where you will see something interesting you wouldn’t have seen if you had driven on through while dehydrated! While driving to Sweetwater, Texas Chris and I were in Canadian, Texas and there was a cute little pumpkin stand set up with an antique truck and a whole variety of pumpkins to choose from. It was absolutely adorable and I am so glad we stopped to see it! 2. Wash your face every night before going to bed. You may be thinking “What, Theresa”? But hear me out. This one took me awhile to learn. While traveling most of us have a tendency to fall out of our daily habits of say washing our face. I suppose one of the reasons for this is it’s just one more thing keeping you from falling straight into bed so you can get up early to go exploring the next day. But if you take the 5 minutes or so to wash you face you will 1) feel more refreshed in the morning 2) have better chance of having nice clear skin for taking your amazing travel pictures 3) continue to maintain good hygiene habits even while traveling. 3. Figure out the one thing you will always look for at a destination. I find that this helps me look forward to my destinations. 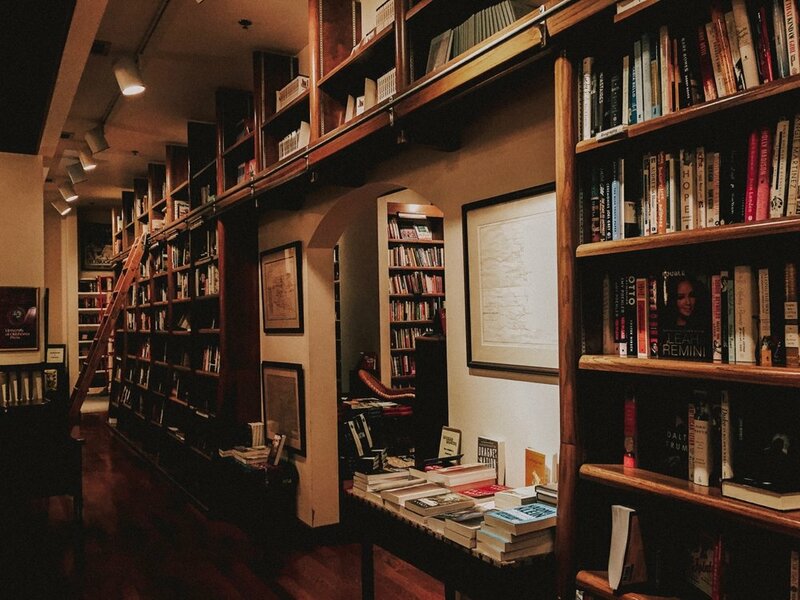 For example my husband and I always look for local bookstores or local coffee shops when we travel. Usually both. We both love to read, and he really adores coffee. If we can go to somewhere local that we can’t experience back home, that’s usually the place we go. This can be a hit or bust. Sometimes we’ve chosen very strange and would-never-normally-go-there type places, and other times it’s a complete win and we have a great time. This tip is useful even if you are in a location for an extremely short amount of time. If you have 3 or 4 hours in a city it’s easy to find a local tea shop or art gallery that won’t take up your whole time and make you late leaving! That’s right… you read that right… clothespins. This is a tip from my Mom. Clothespins can come in handy for all kinds of travel, but the main one is for keeping the curtains in your hotel room shut at night! If they have a problem staying all the way closed and light is seeping in, it can be very hard to fall asleep. Clothespins will help save the day by making sure the curtain is securely in place. Thanks for this great tip, Mom! 5. Eat a wholesome breakfast. This can be tricky, as eating wholesome on a trip can be time consuming and pricey. But if nothing else at least eat breakfast. I’m definitely guilty of skipping breakfast, I just don’t feel hungry when I first wake up. But food is fuel and how are you supposed to have the energy to tour if you have haven’t fueled up first? Back in July Chris and I were touring a museum in Pueblo, Colorado and I had not eaten breakfast before hand and I was absolutely miserable. It was hot, oh! and I was dehydrated, and I spent most of the time just dragging myself around. Not an experience I am ready to ever repeat. I want to be fully present when I am exploring, not thinking about just being done.